Sometimes we need to vew the early boot messages of the ODROID-C2. This is the case when we are dealing with a problem during boot, or creating a special purpose boot image, or when we add new external devices. 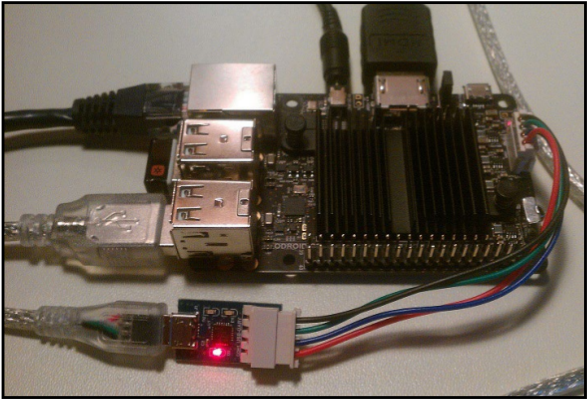 In order to view the early boot messages we need to connect our ODROID-C2’s serial console port to a USB port of another Linux box, using a USB-UART Module Kit (see the pictures above). This allows us to have remote serial access to our ODROID-C2, in a similar manner as an SSH connection would. When we want to interrupt the automated boot process (hitting [Enter] twice during boot) to start an interactive u-boot shell. 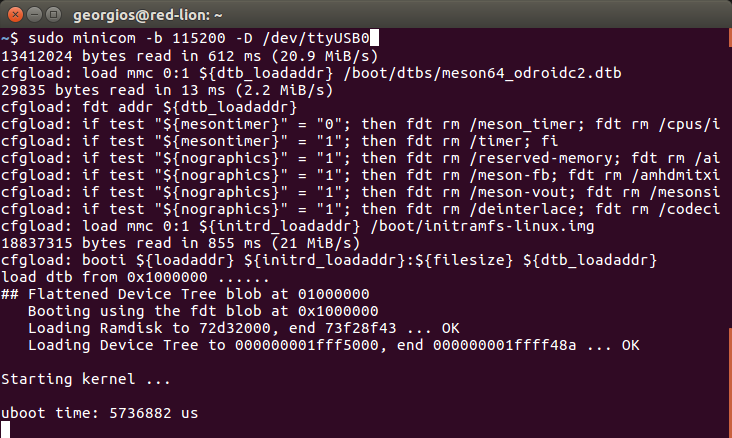 U-boot is a boot loader similar to lilo or grub, but is specifically designed for embedded devices like the ODROID-C2. Using the u-boot shell we can interactively test new boot configuration, load new kernel image, boot rootfs from a different partition, fix a failed boot process, and so on (essentially manually entering the boot commands found inside boot.ini). 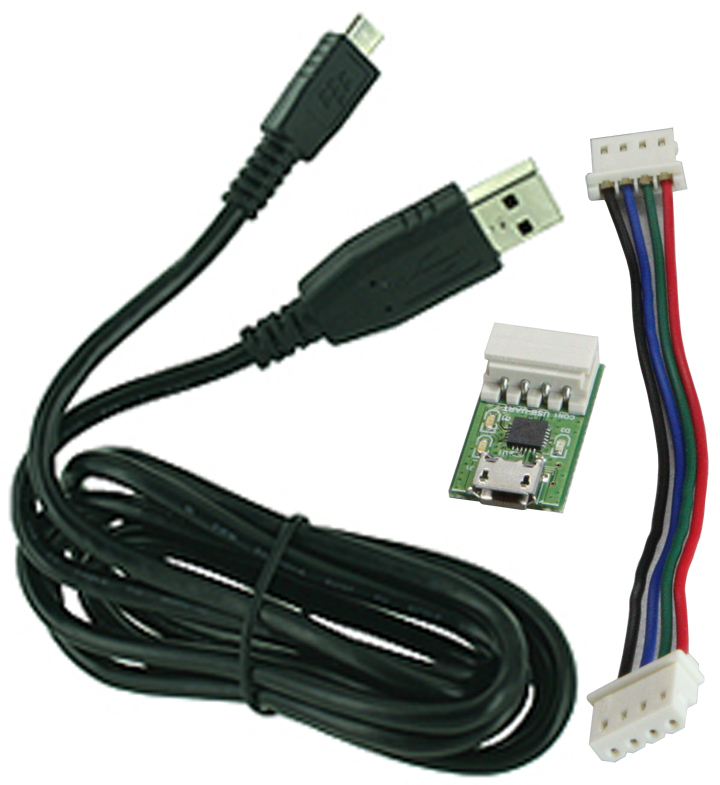 For more information refer to Get more out of "Das U Boot" and the section "USB / UART kit" from the HARDKERNEL ODROID-C2 USER MANUAL.